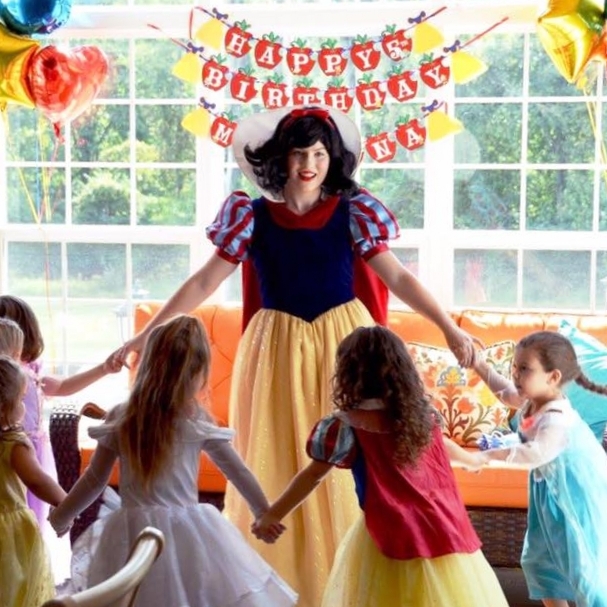 Invite a princess, superhero, or pirate to your next event. We offer full service parties and planning, character visits, glam spa experiences, and so much more. Find out about upcoming Princess Tea Party galas, appearances at local venues, or some of the other exciting and magical events we have planned. Not Just For Little Girls! We are a full service creative events company. Let us bring our magical experiences your life. We can create unique and fun character appearances for your special events, weddings, parties, and more. Contact us to discuss the options! One of our signature events. Imagine bringing your little princess or prince to an all-inclusive tea party, complete with characters, games, dancing, face painting, plenty of photo opportunities and more. Click below to check our upcoming events schedule. Know a special young person in need of some cheer? Consider a visit from a princess or other favorite character to brighten their day. At home, at a special place, or even in the hospital, we can make a magical moment just right for someone in your life. Contact us to find out more.